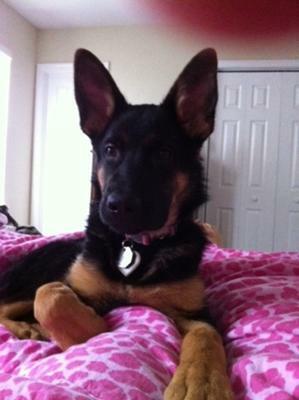 Aleigha is my almost 5 month old (next week) female GSD. I was feeding her (Purina Pro Plan) 2 cups twice a day. Recently the vet told me to feed her 3 cups 3 times a day or as much as she can eat in ten minutes. That seems to be too much for her. I am now giving her 2 cups 3 times a day. Am I doing the right thing? She also has been itching a lot lately. I started putting 2 tablespoons of wet food with the dry everytime I feed her hoping that would help with her dry coat. At night I give her 10mg of Benadryl hoping it helps with her irritating her coat. A dog food review site that I hold in high regard places a low rank on Dad's Dog Food. That review was based on the Trail Mix recipe, however, the first five ingredients in Natural Chunx are Ground Yellow Corn, Soybean Meal, Beef Meal, Wheat Middlings, and Animal Fat. That is not a recipe I would choose for my dogs. I had a female GSD for 11 years. We had trouble with allergies her whole life. Some allergy shots can shorten her life span. Be careful. We tried all kinds of foods, expensive and cheap. I think the artificial ingredients cause the problems. We switched her to Dad's all natural chunx. She loved it and her skin irritation cleared up. My 4 month old GS is very playful and gets nervous sometimes. Is that normal? Also, she loves fish and not dog chow… Is that not bad for her health? We have some of the same issues with our GSD Puppy. At 13 weeks she is on Hills Science Diet, chicken and rice. It seems to help the itching. We tried the Blue Buffalo Puppy food and it just went right through her. Probably too rich. I suspect some of the itching could be a result of dryness in the air. I was told by our Vet, to try a hydrocortisone gel. It has helped immensely. For size purposes, she was at 26.9 at 12 weeks and approximately 16" at the shoulder. Also, we have been socializing her with other dogs at dog parks. Hi, I am a German shepherd breeder with 25 years experience. I think that your puppy might be having an allergic reaction to Pro Plan and that is why she is itching. Pro Plan has a lot of corn, wheat, grain, soy and other fillers. 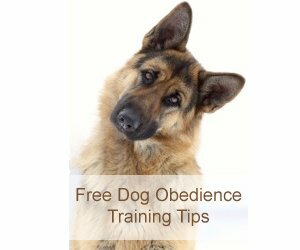 German Shepherds are extremely sensitive to these fillers. I know Pro Plan is cheap BUT cheap is not always good. I recommend feeding Blue Buffalo large breed dog food or Innova Large and Giant breed dog food. In the long run these foods will be much healthier for your shepherd. I have a GSD with allergies to just about everything outside. My Lady will be 11 yrs. in Nov. and she has been on shots and pills for most of her life. If changing her food doesn't work I would consider asking your vet to do some allergy tests on her. GSD's are great but I have talked to alot of owners with this same problem. I had the same issue with one of my other dogs, a lab. She started itchin all the time, getting sores where she itched and her coat started looking dull and was a mess. I tried Benadryl, fish oil and even some other food supplements but nothing worked. I then tried a HIGH end kibble and within about 4 weeks she stopped itching and her coat started clearing up. The itching sounds like it may be from allergies. I would take her off the Purina food. They use a lot of corn (a common allergen) in their dog food products. I feed my dogs grain free dog food and they both have beautiful, soft coats. I like the Wellness Core or Blue Buffalo Wilderness, but there are several other good ones out there. Also, in regard to how much food she is eating, you can also try the dog food calculator to give you an idea of how many daily calories she needs. Hope that helps. Thank you for sharing your beautiful puppy with us!